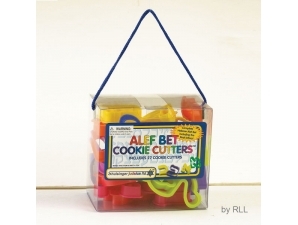 This complete set of 27 plastic cookie cutters includes all the Hebrew Letters (including final letters!) These are great for making cookies, but try using them with playdough or even for stamp painting! Each cookie cutter measures approximatly 1.5 inches tall.